Age of Empires II: The Forgotten is the second expansion pack to the 1999 real-time strategy game Age of Empires II: The Age of Kings, and the first new expansion to the game in over a decade. 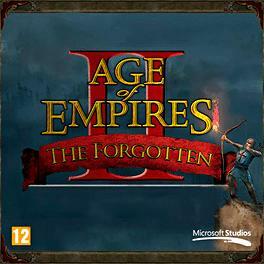 Exclusive to the HD Edition of the game available on Steam, The Forgotten originated as an unofficial modification for the game known as Forgotten Empires. The expansion pack was developed by the team that created the mod with the assistance of Skybox Labs. The Forgotten introduces five new civilizations (the Italians, Indians, Slavs, Magyars, and Incas), seven new campaigns, new units, new technologies, new gameplay modes, new maps, improved AI and other tweaks to gameplay.